People of all ages can have a more refined, mature taste in furnishings. They prefer rich textures like leather and darker wood finishes alongside classic, tried-and-true shapes. This top grain leather sofa would be the perfect centerpiece for the living room with a classic Persian carpet on the floor or antique tables as accents. But unlike antique furnishings, this sofa is one that your family can actually sit on and use while relaxing and entertaining. The seats are engineered to last and provide heavenly support with coils built into the cushions and wrapped in a plush blend of feather down and fiber. You can't turn down this piece's impeccable sophistication and affordable luxury. The L164650 Traditional Leather Sofa with Bustle Back and Nailhead Trim by Craftmaster at Zak's Home in the Tri-Cities, Johnson City, Tennessee area. Product availability may vary. Contact us for the most current availability on this product. Padding & Ergonomics Cushions consist of inner-coil springs wrapped in a foam cushioning wrap and topped with feather down blend. This creates a superior seat with durability and sink-in comfort. Add a touch of an heirloom feel with comfortable, traditional pieces that make any building seem more like a cozy and treasured family home. 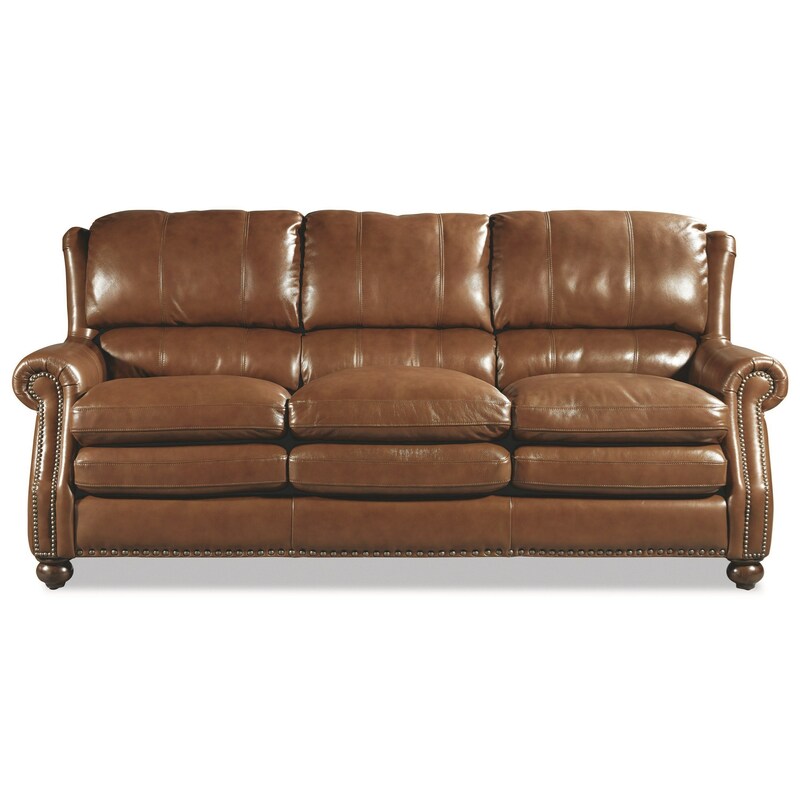 The sofa centerpiece is a modest size and the warm, clay brown leather combines well with numerous color palettes, making it easy to create the home of your dreams. Complement your sofa with a matching loveseat, chair, and ottoman or mix it up with the matching, push back recliner. The L164650 collection is a great option if you are looking for Traditional furniture in the Tri-Cities, Johnson City, Tennessee area.